Facebook is experimenting with prominently displaying star ratings on the Pages of brands and businesses, according to a recent piece by TechCrunch. The tech blog reports the social network is currently testing the ratings, which consist of zero to five stars at the top of a Page, on a small number of desktop users. The move appears to be part of a slow rollout of star ratings on Pages across the platform. Users have been able to rate businesses via Facebook’s local search since 2012, and the functionality was expanded to mobile apps and Timelines earlier this year. The changes now being tested take this one step further by making the cumulative star rating for a business clearly visible on the desktop version a Page and in users’ News Feeds. 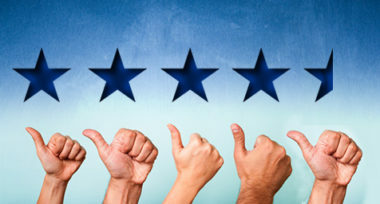 The adoption of star ratings represents a major change for Facebook, which until recently relied mainly on the ubiquitous Like button to collect sentiment data from users. While Likes aren’t going away anytime soon (in fact, the button just got a makeover), the growing visibility of star ratings shows the social network is looking to compete with the likes of Yelp and TripAdvisor by offering more nuanced reputation information. Brands will have have to adjust their Facebook strategies to accommodate for these changes. As star ratings grow in importance, it will no longer be enough to merely collect Likes on content. Instead, businesses will increasingly need to actively encourage satisfied customers to interact with, and rate, their Pages. Re-evaluate your Facebook strategy so you can actively pursue excellent star ratings for your brand. Contact MDG Advertising today at 561-338-7797 or visit mdgadvertising.com.